Advanced Distance Education Technologies focused on the advanced techniques to provide practical solutions for distance education. Including Communication Technologies, Intelligent Technologies and Educational Technologies, advanced techniques construct a friendly and innovating learning environment for learners with different learning space and various learning style. For examples, Human-Computer Interaction, Agent-Based Software Systems, Internet and Information Systems Development, Web-Based Tools, Internet and Information Systems Development, Data Mining, Mobile and Ubiquitous Computing. Though pedagogies are less emphasize, this special issue praise those proposed technologies and applications based on educational theory, such as Computer-Supported Cooperative Work, intelligent tutoring, individualized distance learning. In this special issue, we invited some papers from ICWL (International Conference on Web-based Learning) 2008, WBL (Workshop of Blended Learning) 2008 and ADET (Advanced Distance Learning Technologies) 2008. 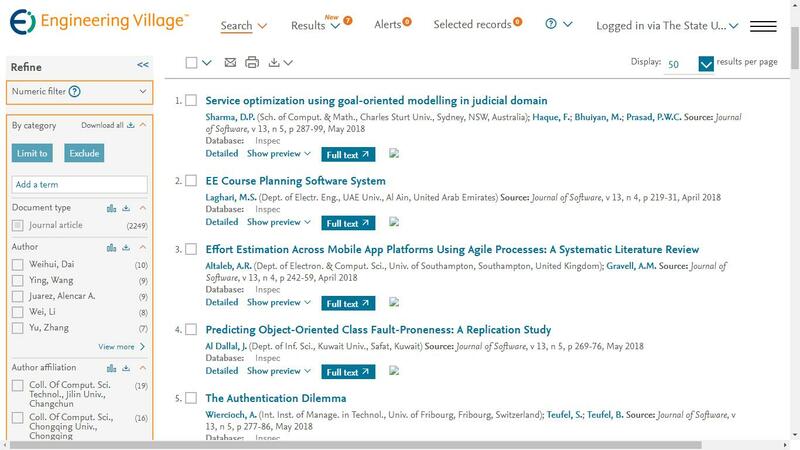 All of these papers have been reviewed with second round and were recommended to contain 30% more new material to be accepted and published in this Special Issue.